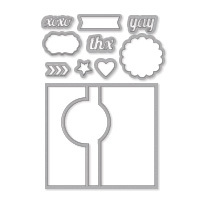 Create with Gwen: NEW Thinlits Card Dies and Class Scheduled! NEW Thinlits Card Dies and Class Scheduled! Join us for some fun creating with the new Label Card Thinlits Die (item #133479) from Stampin’ Up! Using the Big Shot, we will create 3 cards: Halloween, Birthday, and a Christmas card. 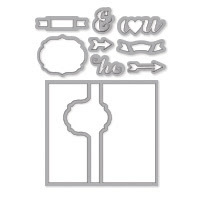 I can’t get enough of these dies and using the magnetic plate, makes crafting with them easy! Class fee $40 includes the Label Card Thinlits Die and supplies to make all three cards. Class is free by using CODE KXKJBAP9 to order YOUR die from My Online Store BEFORE Sun, August 11. Your Label Card Thinlits Die will be shipped right to you! Make sure you bring it with you to class! Must RSVP with class fee payment or order your die by Sun, August 11. Yay! Can’t wait! FYI: Enter the code in a new field under the special offers section of the online order shopping bag page, bottom left.Do you have a hostess code? Enter it here and click Apply. Live far away from me ? It's ok, order your die using the code and I'll send you the three cards we make in class! I love my customers, both local and long distance!